We’re just years away from colonizing our first extraterrestrial planet, and NASA’s plans aren’t limited to humans shifting to Mars. Their 3D-Printed Habitat Challenge aims to look at how to develop a printable, easy to set-up home for space-travelers on the Moon, Mars, or even further into the universe. The multi-million dollar competition was designed to challenge teams to build complex habitat setups that could be assembled easily on site, giving astronauts/voyagers a place more permanent to stay in than a lander or spaceship. NASA selected three finalists (over a period of more than 4 years) through multiple phases of the competition. Finalists were required to present renderings, research and propose materials and schematics, and the third stage ends with actually building prototypes of the shelters. At third place is Team Mars Incubator (video above) with its modular habitat. Each module serves the purpose of a separate room, and is connected by a walkway. Smaller modules are made to be dodecahedral (comprising pentagons), while the large, primary module comprises hexagonal and pentagonal pieces. At second place is Team Zopherus, with the rather unique Zopherus habitat. Rather than carry material to Mars, the Zopherus relies (in part) on materials found on Mars. 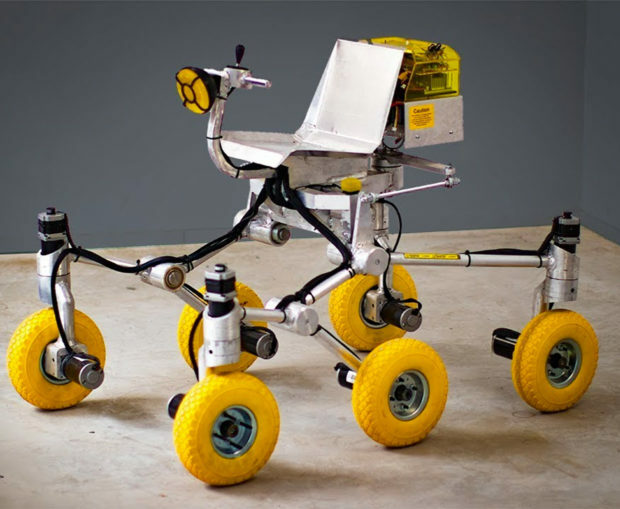 Essentially a massive interplanetary 3D-printer, the Zopherus deploys rovers that collect material and bring it back to the printer, which binds it together with cement, and prints the habitat out. The habitat uses two nozzles that print in HDPE and the Martian concrete. The HDPE forms a base structure as well as an outer cover for the Martian concrete construction, reinforcing it as well as protecting it from the extreme temperatures of the red planet. Running for first place is Team SEArch+/Apis Cor, with its twisting smokestack design. Titled the Mars X House, its design is optimized for the pressure requirements of Mars, and comes made with an inner layer of HDPE, followed by an outer covering of concrete and basalt fiber, which is finally reinforced on the outside with vertically spiraling ridges. The house is split into three zones, with their own dedicated emergency exits (the outer spiral staircase), and right at the top is a water reservoir which applies downward pressure on the building, which when combined with the building’s shape, prevents it from exploding due to the pressure imbalance from the inside to the outside. Shipping materials and components to Mars is an incredibly expensive ordeal, which is why each of the houses attempt at building on-site, autonomously using a fixed set of parts and whatever they can find on the planet… so when the first colonists make their interplanetary journey, they carry only valuable, life-sustaining cargo with them. NASA has finalized on these three designs, and the challenge is all set to end in May with a grand showcase in Illinois where the winner will receive a grand prize of $800,000!